There’s also an additional incentive this fall: a free dessert when a ticket stub from one of the participating shows is presented at one of the more than 25 participating restaurants in the Theatre District. Try some of my favorite restaurants like Firebird (don’t miss their honey-infused vodka along with a side of osetra), Shun Lee West (for dim sum and other more lofty Chinese fare), or B. Smith’s (solid Americana with Southern influences) for a great meal and a free dessert. To book tickets for a Broadway Week show and for the complete list of participating restaurants, visit nycgo.com/broadwayweek. 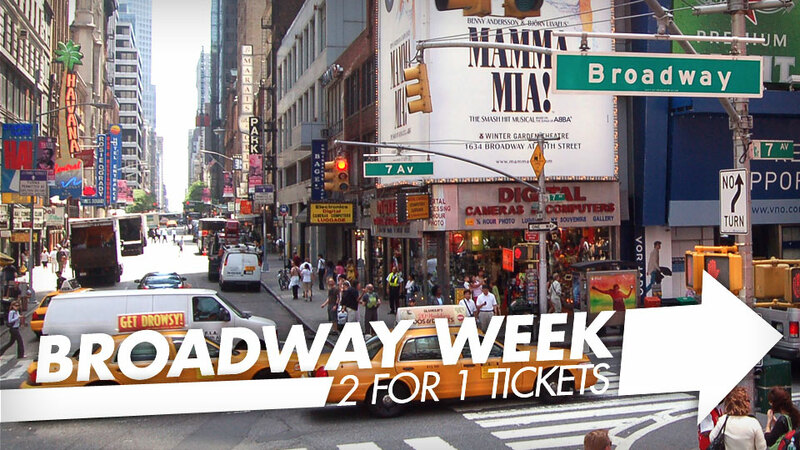 Broadway Week is designed for both locals and visitors to New York City and is produced by NYC & Company in partnership with The Broadway League, AARP, Amtrak, NBC 4 New York and The New York Times. And there’s more. If you travel on Amtrak, you will get some additional rewards. Amtrak Guest Rewards members can earn 100 points or more for each ticket purchased to a participating Broadway show by registering their Amtrak Guest Rewards account with Audience Rewards before making their Broadway Week purchase. A sweet deal all around! 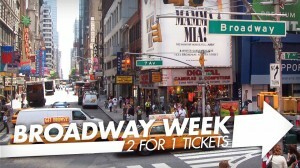 To learn more about Broadway Week and purchase tickets, visit nycgo.com/broadwayweek. Tags: Amtrak, broadway, Broadway tickets, free dessert, NYC and Co. This entry was posted on Tuesday, August 21st, 2012 at 9:04 am	and is filed under Stuff to Do. You can follow any responses to this entry through the RSS 2.0 feed. You can leave a response, or trackback from your own site. I’ve got family coming in September just because of this promotion. Peter and the Starcatcher is on the top of their list, I’m hoping the seats are decent!